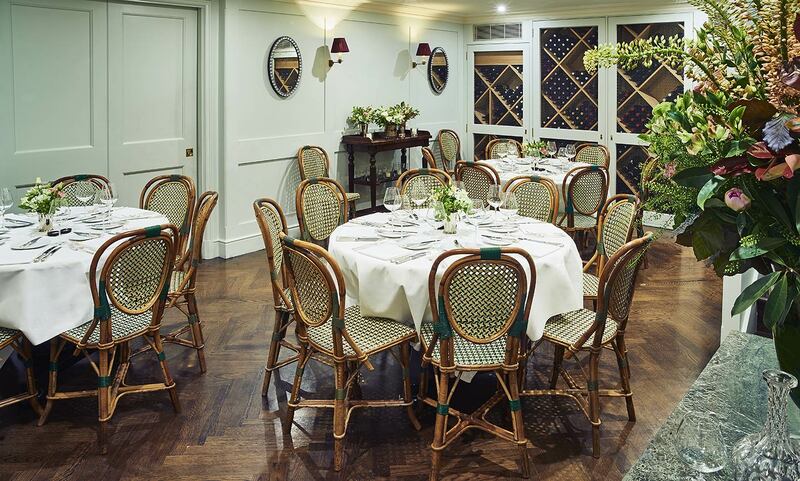 Our Wine Room is ideal for private Breakfast, Lunch and Dinner events for up to 28 guests. We are also able to accommodate small corporate presentations and cocktail parties for up to 35 guests. We offer exclusive use of the entire restaurant for groups of 45 or more guests. 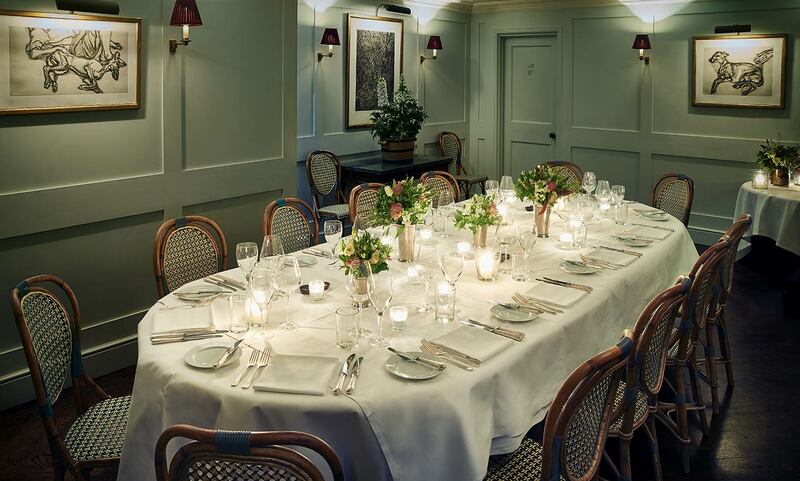 Each event is planned by our Dining Room Manager, working closely with the client, on a bespoke basis. Although our menu changes daily, we are able to send sample monthly suggestions that reflect our style and indicate the types of ingredients and dishes that will be in season at the time of your event. We always try to incorporate special requests from the host or hostess. Alternatively you may prefer to leave the decision to Sally and her team, who will create a menu on the day (a working formula now over thirty years old). We always have alternative dishes on hand for guests with dietary requirements. We have an extensive cellar of wines from around the world, which our sommelier will gladly advise on. Maximum seating: 17 guests at 1 large oval table or 28 guests at 3 large circular tables (2 x 9 and 1 x 10). We also offer exclusive use of the entire restaurant, or part of it, for groups in excess of 45. Your information will only be retained as long as is necessary to process your enquiry. You can change your mind at any time by clicking the unsubscribe link in the footer of any email you receive from us, or by contacting us at restaurant@sallyclarke.com. We will treat your information with respect. For more information about our privacy practices please visit our website. By clicking below, you agree that we may process your information in accordance with these terms.